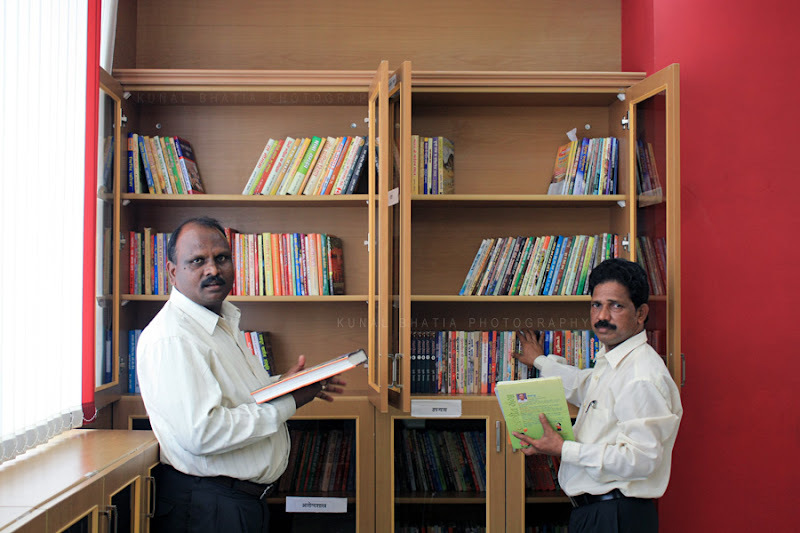 the state central library in andheri/e was a pleasant surprise - neat, clean, air-conditioned reading rooms, a decent range of books, staff that's polite to talk too, green lawns accessible for outdoor reading and more. open to all, at no charge. the reading room was filled with a whole lot of college students immersed in their exam books; but otherwise there didn't seem to be anyone using the library's collection. i think word about the library needs to spread around. article here. the staff was quite accommodating and allowed me to snap some shots; some even willingly posed in front of veneer-clad, moulding-framed cabinets with tinted glass and shelves that are yet to groan under the weight of their contents. that's a hard find indeed, in here, i must admit, there aren't many libraries worth staying, it's usually not well maintained except for univ. libraries i think.